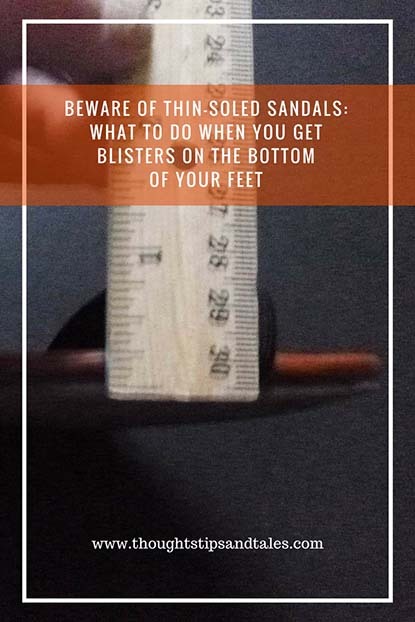 While they’re comfy enough for a meal at a restaurant, the movies or a day of sitting at a sedentary job, sandals with no padding in the sole (1/4 inch or less) can be a real problem if you walk very far in them. Everything went fine until I walked to and from a meeting in another building on campus – to take advantage of the beautiful day — and racked up 10,000+ steps (according to my trusty Fitbit). By mid-afternoon, my feet were killing me, and I thought maybe they had some scrapes on them. But when I got home and took my shoes off, what a surprise! I had big blisters on the balls of both of my feet. 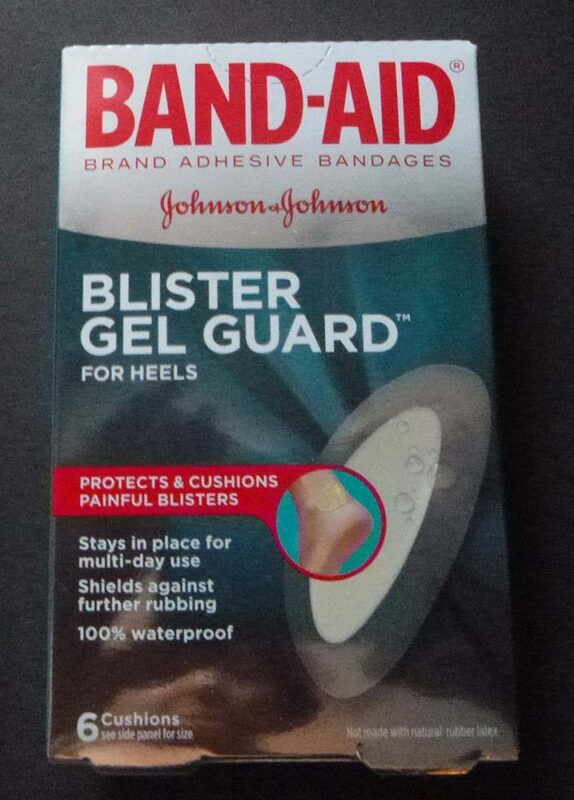 Then I remembered I had some Band-Aids with gel in them for blister control to protect heels when wearing new shoes, so I put one on the bottom of each foot, trying to fully cover each blister. They didn’t relieve all the pain, but they helped somewhat. Even wearing padded athletic shoes and thick socks with the Band-Aids around the house the rest of the evening didn’t make any real difference (which ruled out wearing them to work the next day and having everyone snicker and/or ask if I was going to run a marathon). After a somewhat miserable day at work the next day, stopped at the grocery store after work to pick up dinner food, and spied a package of two thick, gel-filled cushions for the balls of your feet in the health and beauty department. I think it was meant for women who wear stiletto heels, where most body weight centers on the balls of the feet — but, desperate for relief, I bought them. I put one in each of my most comfortable running shoes (with a high, wide toebox) — and what a difference! Between the gel cushion and the blister-relief Band-Aid, it was like walking on a cushion. And it didn’t hurt at all anymore. The next day, I picked a pair of thick-soled sandals — with plenty of soft padding — that the cushions fit comfortably inside for work – and found sweet relief. In case you have a sandal emergency, why not stock up on the products mentioned here? Better yet, insert gel cushions in your sandals every time you wear them and avoid getting any blisters! Cushions are even available for thong-type sandals! 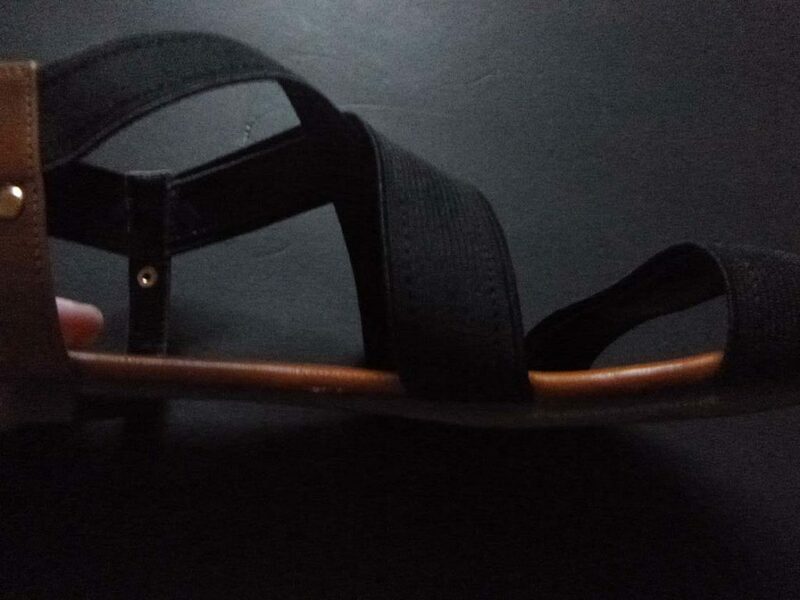 This entry was posted in blisters on balls of feet, How to and tagged bandaids with gel cushio, blisters on balls of feet, blisters on feet, foot care, foot care products, gel cushions for blisters on feet, sandals with thin soles, what to do if you get blisters on the bottom of your feet. Bookmark the permalink. Ouch! I know how painful those blisters can be. I like those pads too and do use them. Glad to hear someone else likes them, too. That was my best purchase for the month!